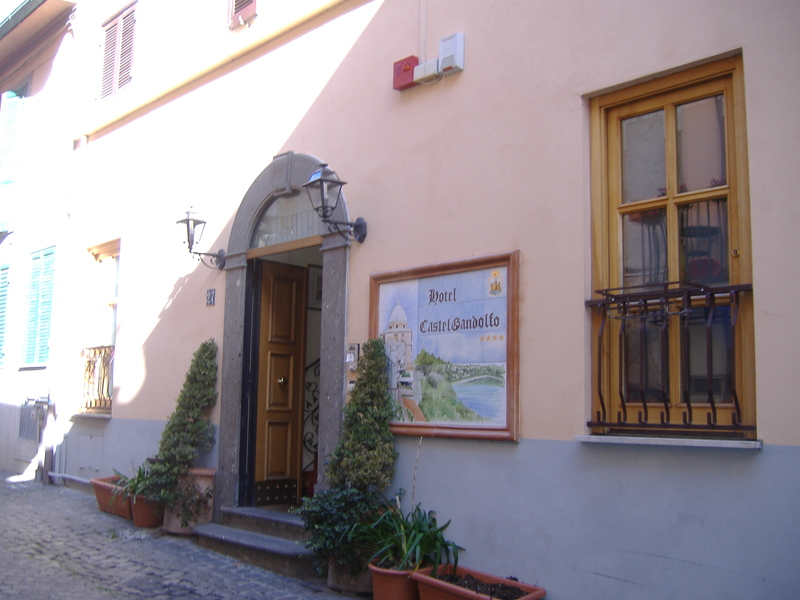 While we were staying in Rome on my last trip we visited Castel Gandolfo. 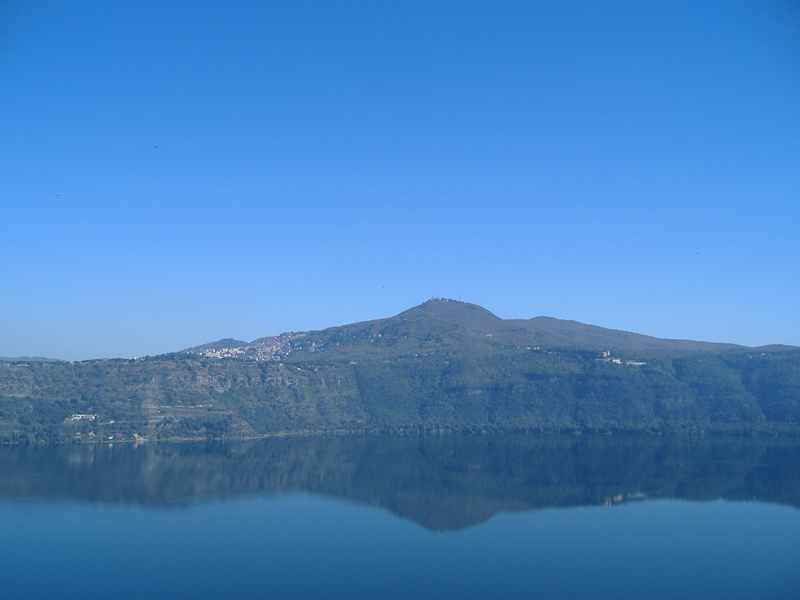 Castel Gandolfo is a small town in the Alban Hills about 15 miles SE of Rome. 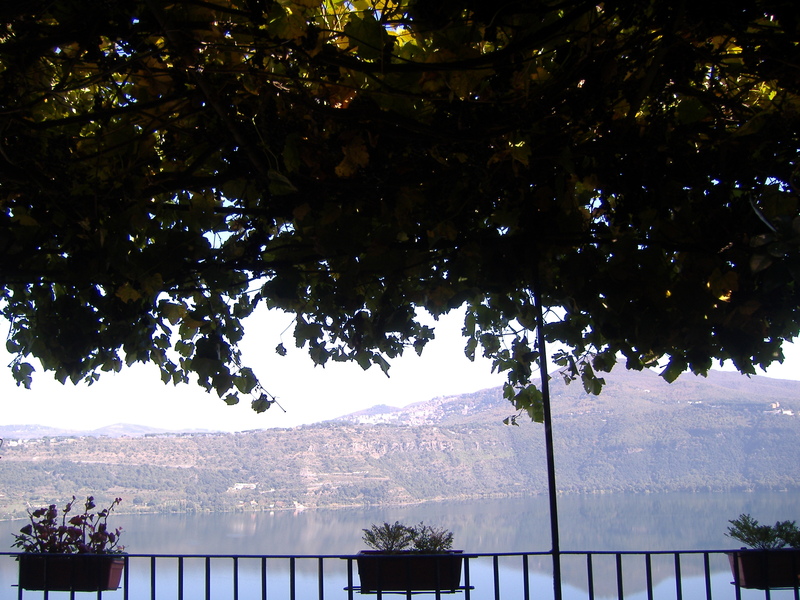 It is high up over looking the most beautiful Lake Albano. 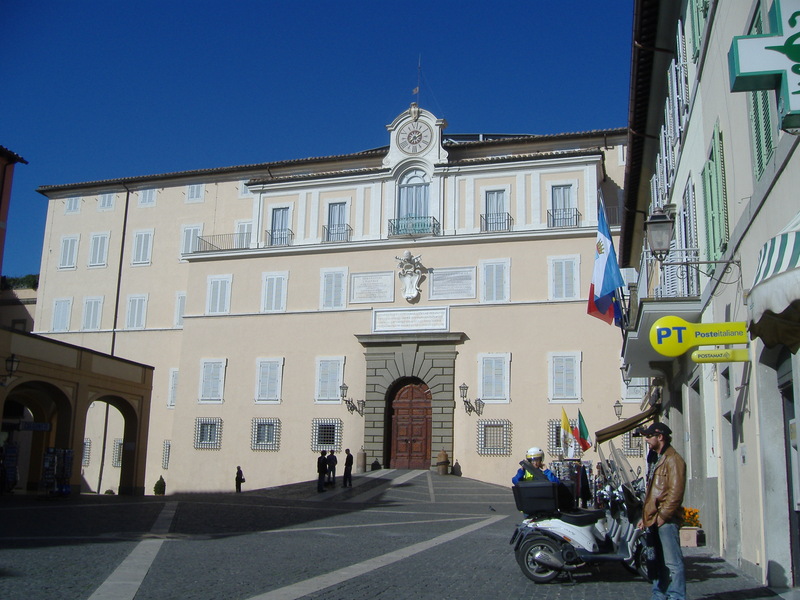 It is best known as the summer residence of the pope. It is an Italian town with a population of 8834 and was voted one of the most beautiful towns in Italy. It is not difficult to get to this lovely little town. 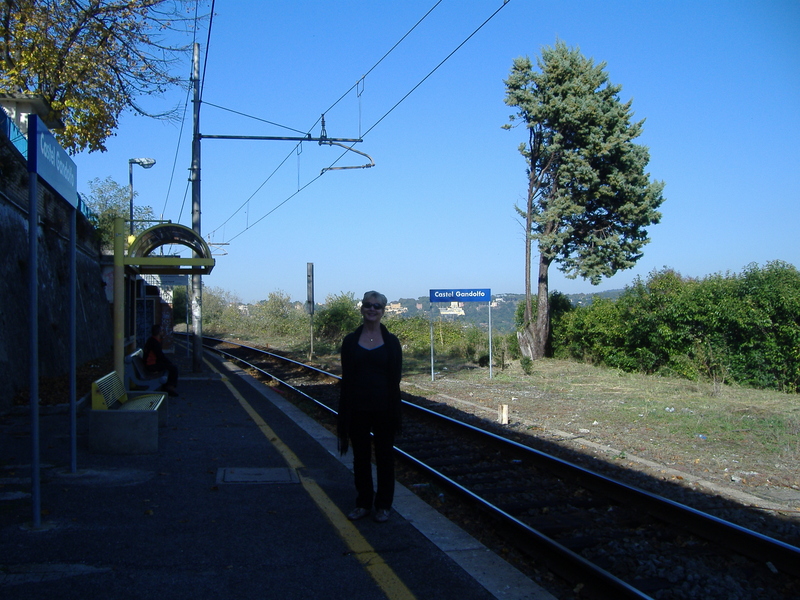 We took the train from termini, however it is a slow trip as the train stops at many stations along the way. 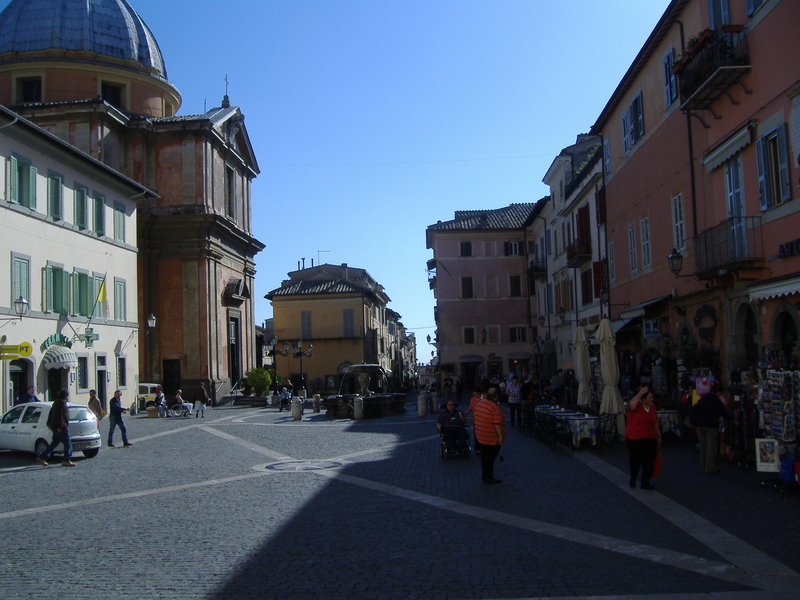 I think it takes about 2 hours, also, many of the coach tours visit Castel Gandolfo. The train station is at the base of the hill so it is a bit of a walk up the hill however the paths are good and easy to walk. If you are looking for something different to do while in Rome and you have the time, it is a great day. There are not thousands of tourists and really just a nice escape. Fantastic Lyn, definately on the list of to do’s for our next visit. Beautiful, Lyn! Makes me want to hop on that train and visit the place. I am reading it while my 4yr old is singing to me. Boy do I need peace.